We began the process with comprehensive school staff and leadership team consultation to ensure the schools requirements were thoroughly understood before commencing the concept design. The site analysis revealed opportunities to improve access, security, connection as well as other cultural and physical contexts. 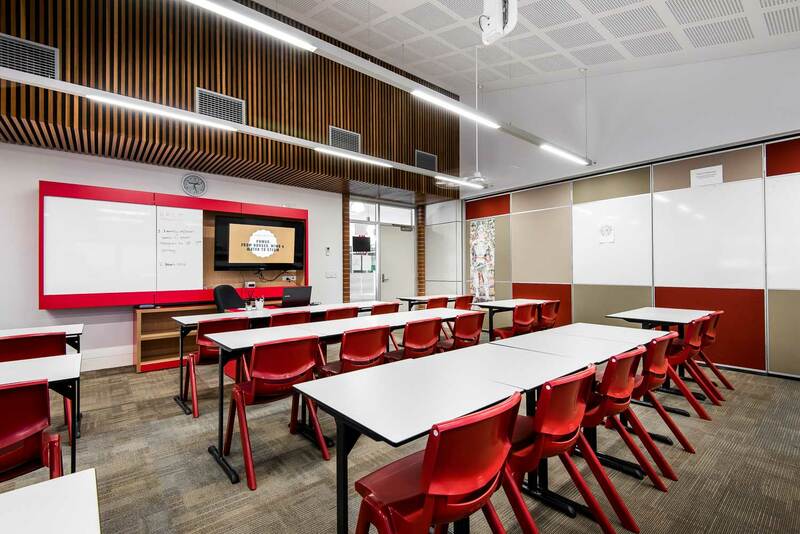 We prepared a number of analysis diagrams which informed the planning of external spaces and their link with the teaching and learning spaces within the building. 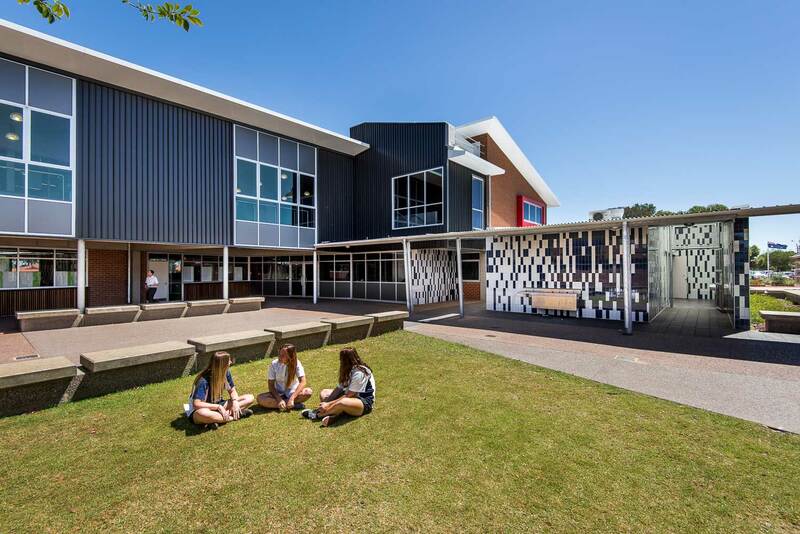 Using the existing campus as a precedent, we conceived a building to encourage the integration of Year 7 students into the neighbouring Year 8 and 9 and Secondary college environment. By overlapping a number of functions through shared facilities, we established a strong connection to the school’s existing built form. 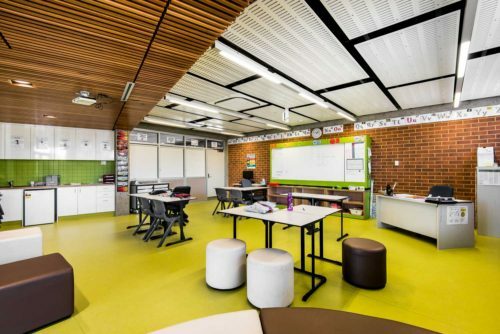 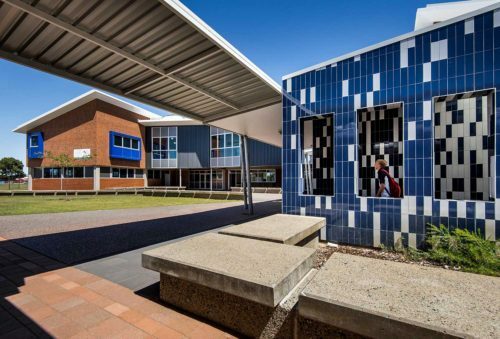 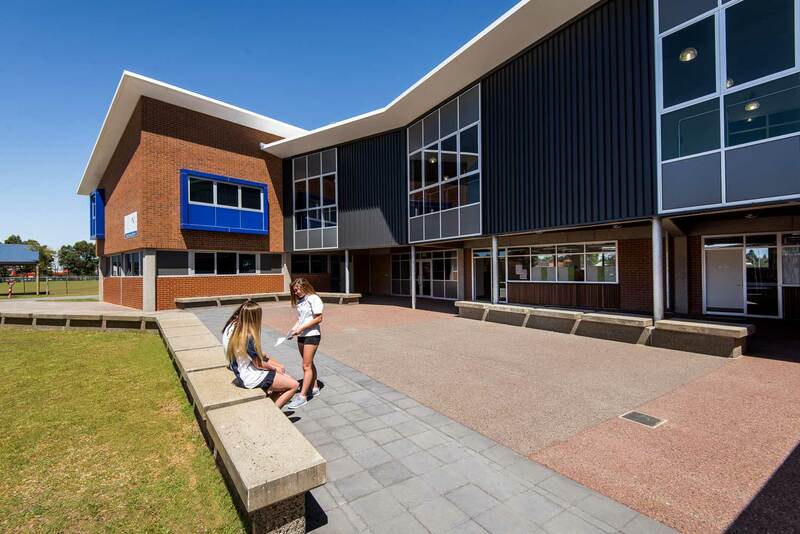 Developed around a central courtyard, Year 7 students are given alternative learning areas, a space for grouped socialising and a unique place for themselves. This device also served to avoid direct and contained circulation routes between facilities. 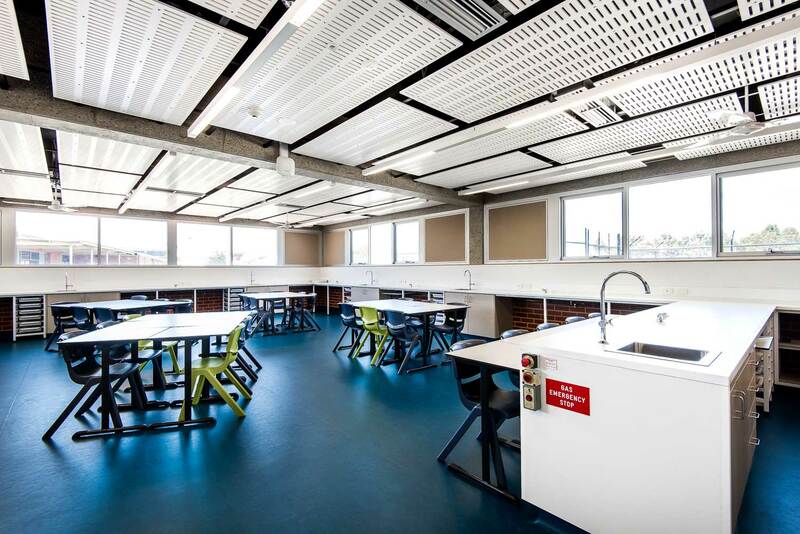 We reinterpreted the school’s existing pitched skillions by introducing two pitched skillions connected by a simplistic bridge at the first floor level. 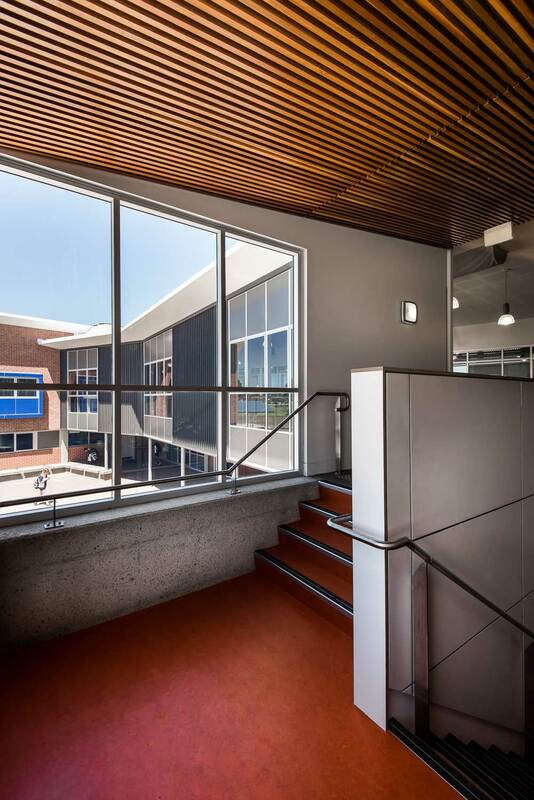 To minimise the overall mass of the two storey height, the form was split using a horizontal band to create a visual break between the two masses. 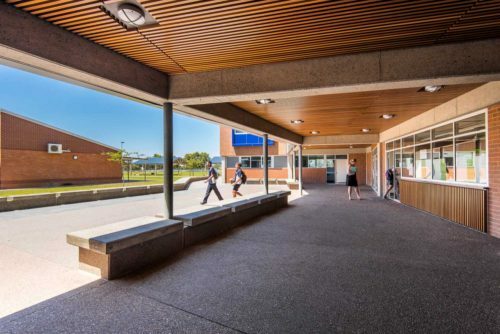 Passive surveillance initiatives included the avoidance of enclosed edges or blind spots to provide transparency between spaces and prevent anti-social behaviour.